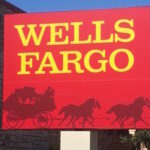 Rather than simply rehash the latest Wells Fargo public relations nightmare or consumer fraud , this post pulls back the curtain and tries to answer the question of why the bank is facing all these problems. The answer to that question isn’t limited to just Wells either. coming out on almost a daily basis, the industry has a long way to go to regain the confidence of the public.” That study was done in 2012 by Notre Dame University and a lawyer in private practice. Since it was first published, the authors claim things have become worse. We know there is a problem but why is it happening? First, the bank’s compensation schemes are partially to blame. Rather basing pay on customer service, pay is usually based on profits. When I was Maine’s commissioner of revenue, we worked hard to make sure the private collection agencies we employed to collect delinquent tax debts were not just measured on how much money they collect. Many other states were using dollars recovered as their only performance metric. Predictably, customer service hit rock bottom. Banks haven’t learned that lesson and the higher up in the organization, the more pressure to bring in profits. Did most managers at Wells Fargo explicitly tell their underlings to open phony accounts? Probably not. Instead they adopted a “don’t ask, don’t tell” policy, looked the other way at transgressions and pushed workers more and more to meet quotas. Another reason for the problems in big banks is a lack of accountability. When Elizabeth Warren grilled Wells Fargo CEO John Stumph last month, she made some good points. Not one single senior manager had been fired. Instead the bank blamed the workers and said it fired 5500 of them. Ultimately Stumpf was booted out the door and had to forego tens of millions of dollars. When you are worth over $100 million, the clawback was minimal. Stumpf made such a mess of things that the bank’s board was forced to clawback something. Those clawbacks – the act of forcing a bad manager to pay back some of his or her compensation – are extremely rare. Yet another reason for this culture of greed is the secrecy that exists within these big banks. Despite compliance officers, mission statements and ethics hotlines, everyone within the bank knows that speaking up will get you fired. Banks don’t like a whistleblower in their ranks and will go to great lengths to discredit, isolate, ostracize and often fire that person. But what about these new compliance positions? Unfortunately they are ignored. In fact, compliance officers have become one of our leading sources of whistleblowers. Mission statements? Have you read the one on the Wells Fargo website? It says in part, “Our unwavering focus on customers is the foundation of our strategy. While industry trends and the competitive landscape will continue to evolve, our strategy will guide us in successfully navigating these challenges and doing what is right for customers.” Doing right by customers? Ask the approximately customers who were the victims of identity theft and had accounts opened in their name without their permission or the hundreds of thousands of struggling home owners whose loan modification applications were tossed in the garbage or had to pay improper fees. And ethics hotline? Many of the people we represent came to us after being fired by their employer. Often it was “coincidentally” reporting misconduct on an ethics hotline. Finally, there is the complete lack of accountability. After the savings and loan scandal in the 1980’s, hundreds of bankers were criminally prosecuted. Have we seen Bank of America’s CEO Brian Moynihan in handcuffs and an orange jumpsuit? It will never happen. When I was a prosecutor, when the press showed up to the courthouse to cover an arraignment we called it the “6:00 perp walk” because all those high profile people being lead into the courtroom in cuffs would be featured later that day on the news. Nothing would send a more clear message to the banking elite than seeing one of their cronies on the evening news. Obviously, I am not the only one to feel this way. Unfortunately, it takes 100 times the resources to prosecute a banker than it does the common drug dealer or gang member. And the Justice Department doesn’t have unlimited resources. Our new Attorney General Loretta Lynch says she is demanding more individual prosecutions. Because those cases can take 2 years, it may still be another year before we see results. Banks say they are cleaning up their act but we just don’t see it. In fact, we agree the studies that suggest things are getting worse. To the extent that banks are doing anything, its paying lobbyists and PR specialists to put a positive spin on their bad behavior. 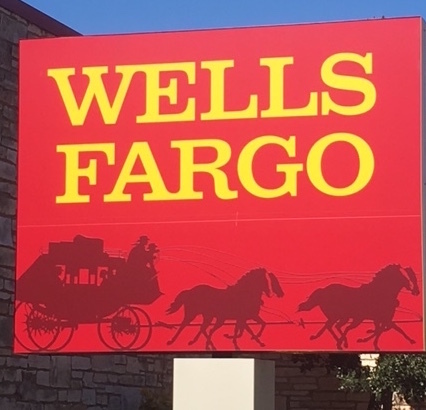 Since the fraudulent account scandal at Wells Fargo broke, the bank put up a new website titled “Our Commitment to You.” That site purports to have recent Wells Fargo news but oddly enough doesn’t address the constant surge of new fines, violations and investigations. Their B.S. isn’t likely to work for now but the public has a short memory and the banks continue to put pressure on employees to remain silent. For the longest time I resisted adopting the “break up the bank” mantra. Now I have done a 180 degree reversal and think that not only should the big banks be broken up, most should also be shut down. New whistleblower prosecutions would also help. Right now, Wells Fargo and all the big banks are vulnerable. That won’t last forever, however. The Justice Department, the SEC, the OCC, the press and consumers are listening. Under the federal False Claims Act, a whistleblower with inside information about fraud or misconduct can earn an award of up to 30% of whatever the government collects. Those cases must be tied to federal funds, however. Unless home mortgages or SBA loans are involved, getting a False Claims Act award ma be difficult. Other laws, however, could be used in almost any bank misconduct case. The SEC’s Whistleblower Program and the Financial Institutions Reform, Recovery and Enforcement Act (FIRREA) have widespread applicability. And both can pay big awards too. Interested in becoming a whistleblower? We view our whistleblower clients as the new American heroes. They are living proof that David can take down Goliath. And we are proud to have helped those client heroes receive over $100 million awards in just the last few years. Whether you are a teller, compliance officer or senior vice president, we can help you put a stop to the greed and corruption, protect you from retaliation and get a large whistleblower award. Stopping fraud, helping consumers and earning big awards? It sounds too good to be true but its not. * It goes without saying that potential whistleblowers should never use a work computer, email address or work phone to contact us!